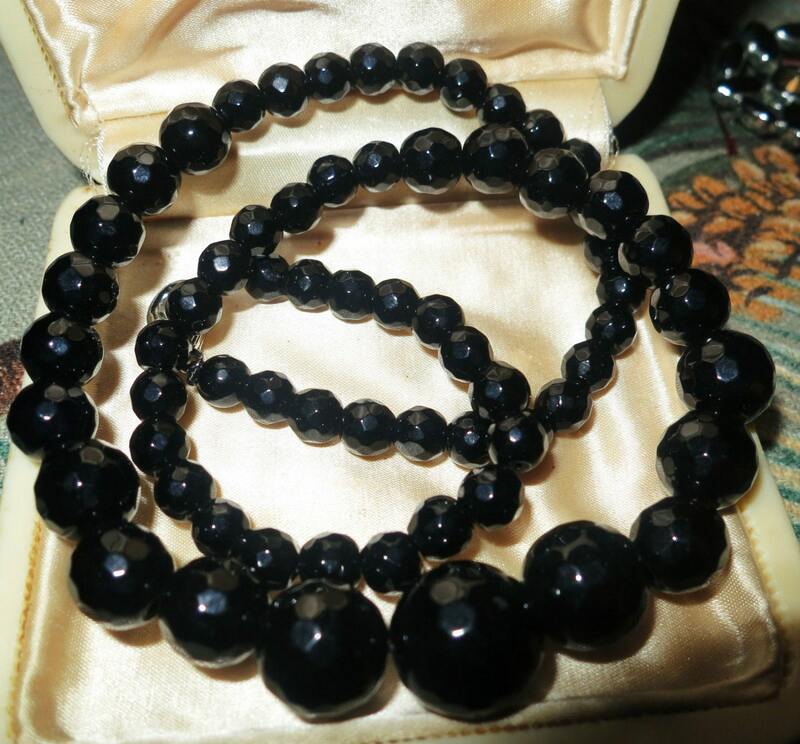 Attractive vintage faceted black onyx beaded necklace 18"
For sale is this lovely faceted polished black agate necklace with silver plated clasp. 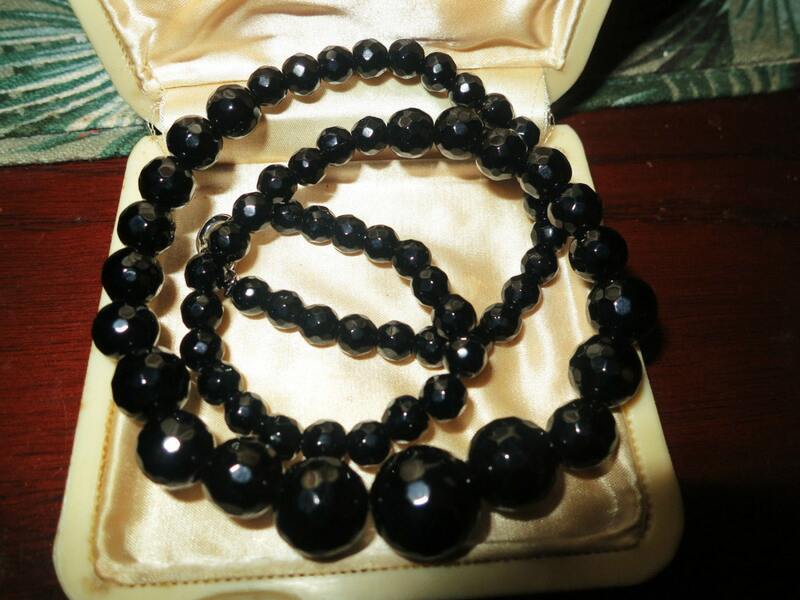 Beads are 6-14mms and graduated. 18 inches long.